SBS on Demand: SS-GB, 7 Faces. Acclaimed UK drama SS-GB will be available on SBS on Demand next week. The 5 part thriller is based on the premise that the Germans won the Battle of Britain. The cast includes Sam Riley, Kate Bosworth, and Australian actress Maeve Dermody. It screened on Pay TV in May 2017. Turkish thriller 7 Days will also screen with all seven episodes available. Update: This series premieres on SBS on Thursday, 18 April at 10:35pm, followed by weekly episodes. Each episode will be available on SBS On Demand following broadcast. A British homicide detective investigates a murder in German-occupied England in a parallel universe where the Nazis won World War II. 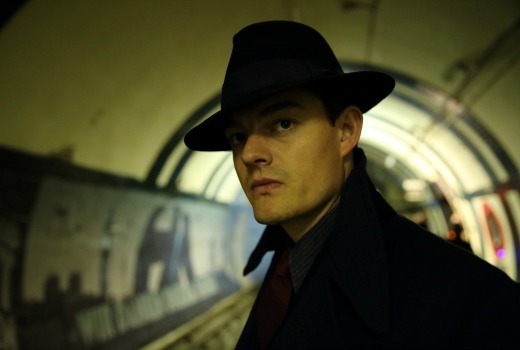 BAFTA nominee Sam Riley plays Detective Douglas Archer, caught between his brutal new SS bosses and a ruthless British resistance movement as he investigates what looks like a black market-related murder. Starring alongside him, famed actress Kate Bosworth plays American journalist Barbara Barga, who becomes inextricably linked with the murder case that Archer is investigating. Adapted from Len Deighton’s intriguing, alternate history novel of the same name by BAFTA Award winners Neal Purvis and Robert Wade (Spectre, Skyfall, and Casino Royale). Featuring seven different yet intertwined stories of modern life in Istanbul, 7 Faces is a distinctive and thought-provoking drama centring on seven characters living in the same city centre apartment building. Each episode tells one individual story. Each of them faces a major change or something unexpected in their lives, which requires them to confront their biggest fear or weakness, or to step outside their comfort zone. As their tales unfold around each other, these characters are barely aware of the existence of each other, yet we will see how their lives are imperceptibly interwoven. Ahhh, the Nazis-the gift that keeps on giving for SBS. Any one here remember ‘An Englishman’s Castle’ with Kenneth More?